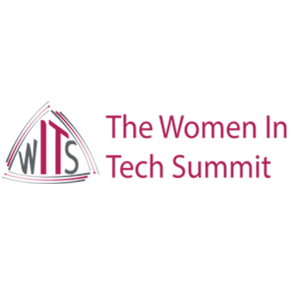 3Pillar’s Jessica Hall will be presenting a workshop on using prototyping to decrease development time and increase learning while testing at the Women in Tech Summit in Philadelphia, PA on April 9, 2016 at 3:10 PM. Jessica’s workshop, titled Using Prototyping to Get Good Faster, will help users decide what to prototype, how prototyping can speed up development rather than slow it down, and how prototyping can help users to learn more when they test. The Women in Tech Summit is a series of events that inspire, educate, and connect women in the technology industry. The goal of the events is to support the community of women currently working in technology and to help pave the way for women and young women who want to enter the industry. The summit is the only women in technology conference that provides attendees with a combination of hands-on tech workshops, information and discussions on careers in tech and how to pursue them, and opportunities for networking and connections with other women in various aspects and careers in technology. All profits generated from each event will support the non-profit TechGirlz.org, which has the ongoing mission of reducing and eliminating the gender gap in computer and technology occupations. The Philadelphia event is a one day event that includes two keynote presentations, – one by Eloise Young, CIO of Philadelphia Gas Works, and one by Susan Tabor-Kleiman, founder of Your Professional Writer – as well as over 20 presentations, workshops, and networking-focused events. Jessica Hall is the Director of Product Consulting at 3Pillar Global. Previously, she built the UX team at CEB and led the creation of the Newseum’s interactive exhibits and website. Her work has been recognized by the Web Marketing Association, American Association of Museums, The Webby Awards, Time, and Forbes. She holds a Masters in Design and Digital Media from the University of Edinburgh and a BA in Journalism from American University. For more information on the Women in Tech Summit, visit the official event website for a full schedule, list of speakers, and how to register to attend.